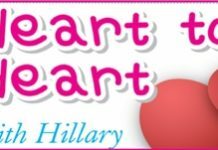 Home Blogs Heart to Heart with Hillary Oh my goodness me! Can you recommend any Indian food places in Pattaya? We do not mean the commercial pizza companies, but real Indian food. We read you each week on the web and will be coming for a vacation this fall and we are all Indian addicts. Where do you recommend? I am delighted that you are coming over to Pattaya for your holidays, and, yes, I adore Indian food too, especially when taken with French Champagne. The Indians really haven’t got a handle on champagne, do they Petal, but they do have a good handle on some other aspects of life, like selling suits! Miss Terry Diner (you can get her on the Pattaya Mail’s web site too), has given Ali Baba high recommendation. Try it and if you find any others let me know and I’ll join you (with the proviso of copious amounts of bubbly). In the nood for love? How much in the Tip box?